Save time, save money, and eat clean! 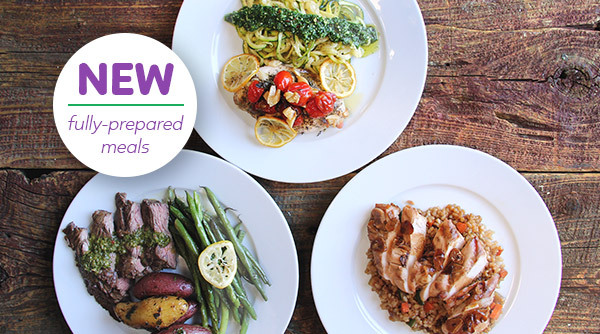 After weeks of taste testing, we're excited to finally release ready-to-eat meals! In partnership with Chef Christine Daley from Daley Delivery, we're bringing you meals made with GrubMarket-sourced ingredients fresh each week. It's like having your own personal chef for those nights we're too busy or tired to cook! Each week you’ll receive big family-style portions, ready to eat. 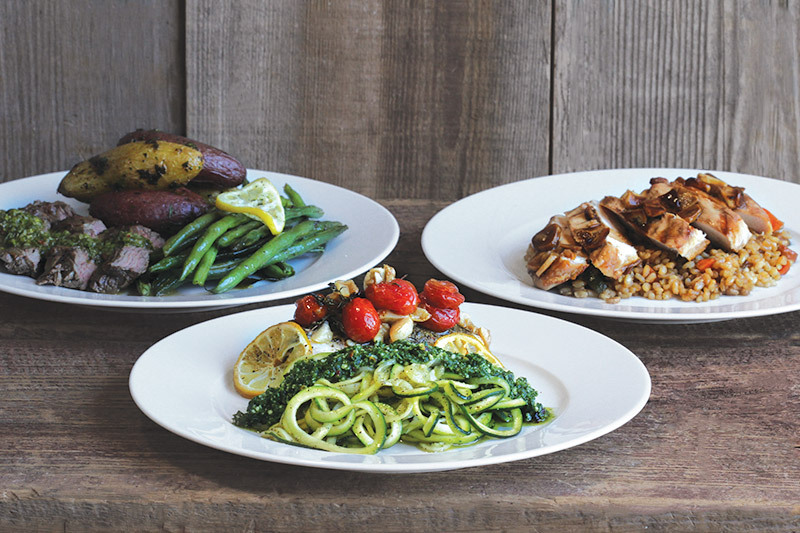 Then you can mix and match to create 6 or more delicious & healthy individualized meals. Maybe you feel like chicken with pesto zoodles, but your partner wants steak and pasta... not to worry, everyone can eat exactly what they like, because your fridge is already stocked. Prefer to customize? It's easy as 1, 2, 3. Just like your FarmBox, every week we select from a rotating variety of seasonal options in each category for you to enjoy. Feel free to set it and forget it. However, if you would prefer to customize, there will be extra choices to chose from. Click here to add the meal kit to your one time or recurring order. Click “View Inside” to see the recipes of the week. If you see an item you don’t like, go in to your upcoming Daley Delivery order, change the quantity from ‘1’ to ‘0’ on whichever item you do not want to receive. This will give you a positive balance. Use that balance to select a different item you’d prefer instead, by adding a value ‘1’ or ‘2’.